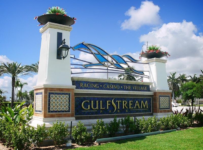 Gulfstream Park has a nine-race card today, with first post of 12:55 p.m. along with a carryover on the Late Pick 5 and a growing carryover on the Rainbow 6. 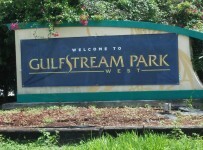 The fourth race will be Gulfstream’s first race this year for 2-year-olds. Conditions are listed as fast and firm. 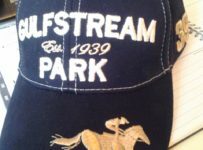 According to the Weather Channel, there is a zero percent chance of rain this afternoon in and around Hallandale Beach where Gulfstream is located. 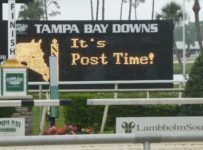 Tampa Bay Downs is dark today. 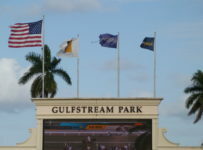 It will resume racing on Friday with nine races and first post of 12:42 p.m. 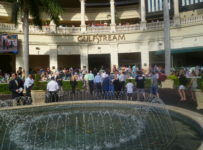 There will be a carryover of $12,237 on the Pick 5 on races five through nine. 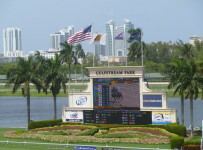 On Wednesday there were no tickets with winners in all five races in that bet, and all tickets with four winners received $284.80. 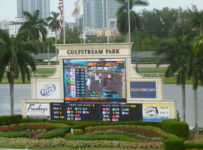 At Gulfstream on Wednesday there were no tickets with the winners of each race in the Late Pick 5 and no tickets with the winners of each race in the Rainbow 6. 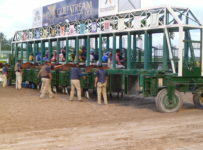 The carryover has grown to $40,061 on the Rainbow 6, which begins in the fifth race. It is a 20-cent only bet. 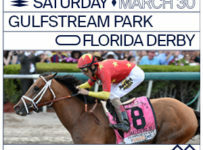 The lack of tickets with all the winners is a result of two longshot winners on Wednesday. 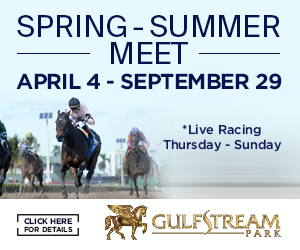 Today’s fourth race is a $47,000 maiden special weight at 4 ½ furlongs on dirt. The field has seven horses, following this morning’s scratch of I Shod the Sheriff. 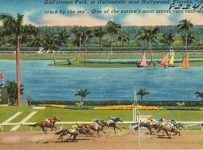 There are five males and two fillies. 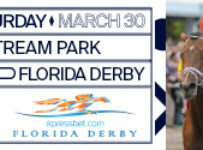 Animal Spirit is the 2-1 morning line favorite. 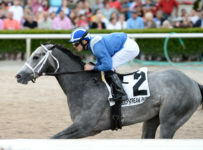 He is trained and owned by Wesley Ward and will be ridden by Carlos Hernandez.